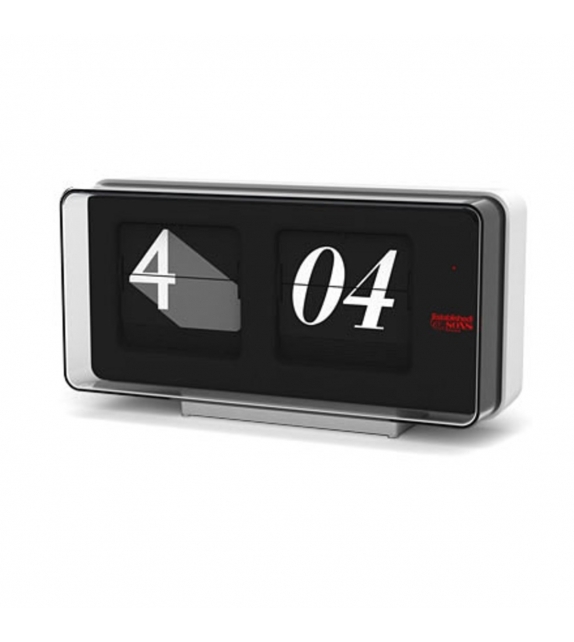 Font Clock by Established&Sons is a clock. Sebastian Wrong has transformed a timeless masterpiece into a contemporary classic. 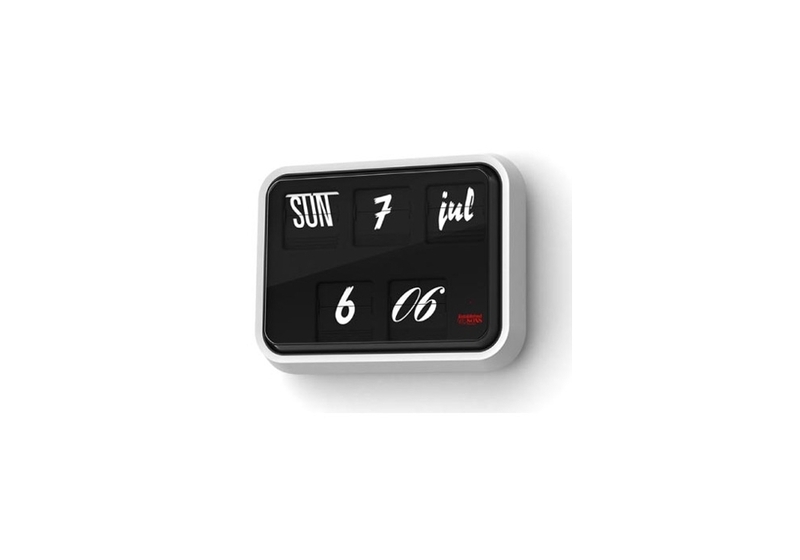 The Font Clock is based on a simple idea, to take the iconic calendar clock with its distinctive form and flip mechanism and introduces a variety of contemporary prefaces in an ever-changing display. 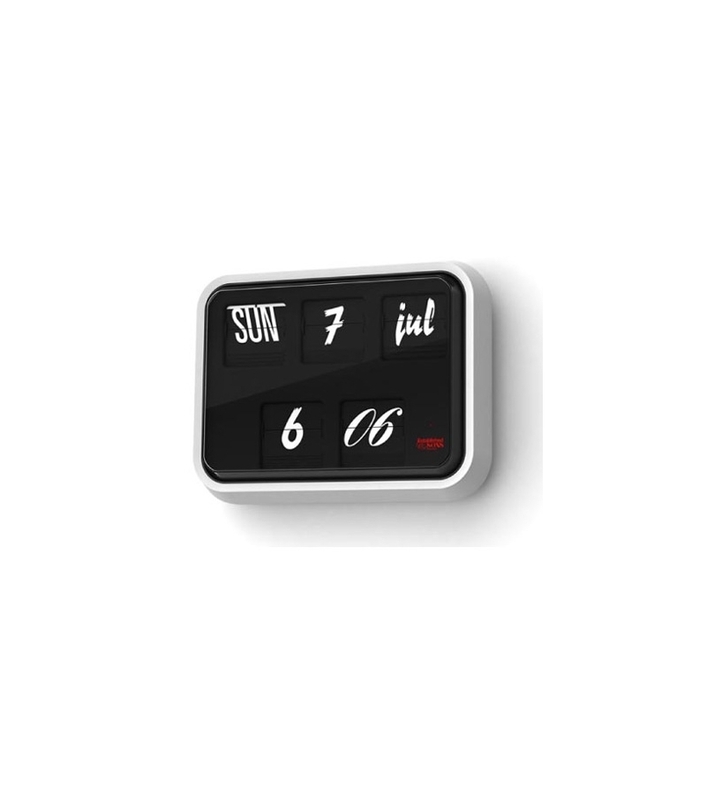 The Font Clock employs twelve different typefaces. 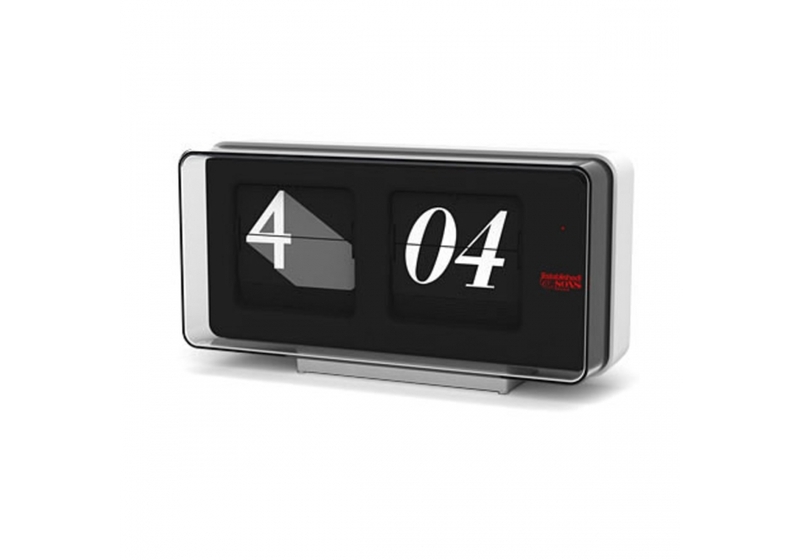 Font Clock by Established&Sons is a clock. Sebastian Wrong has transformed a timeless masterpiece into a contemporary classic. 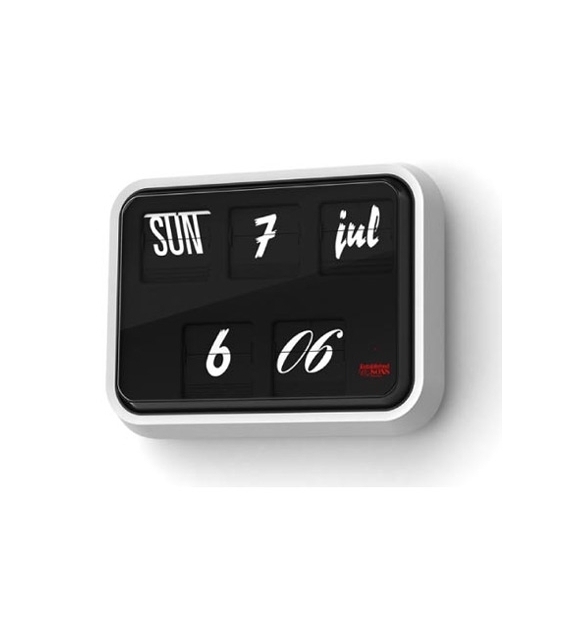 The Font Clock is based on a simple idea, to take the iconic calendar clock with its distinctive form and flip mechanism and introduces a variety of contemporary prefaces in an ever-changing display. 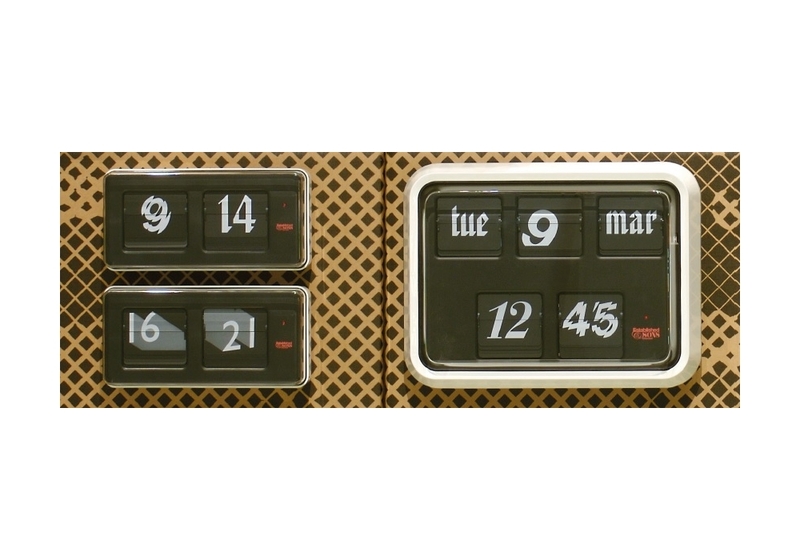 The Font Clock employs twelve different typefaces. These range from modern renditions of classic type families like Bodoni to 20th century classics like Franklin Gothic and Helvetica. True to its philosophy of working with and promoting the very best of British design, Established & Sons has chosen to work with Grayson Time Management system. Grayson is responsible for providing the timekeeping for institutions such as the London Stock Exchange. 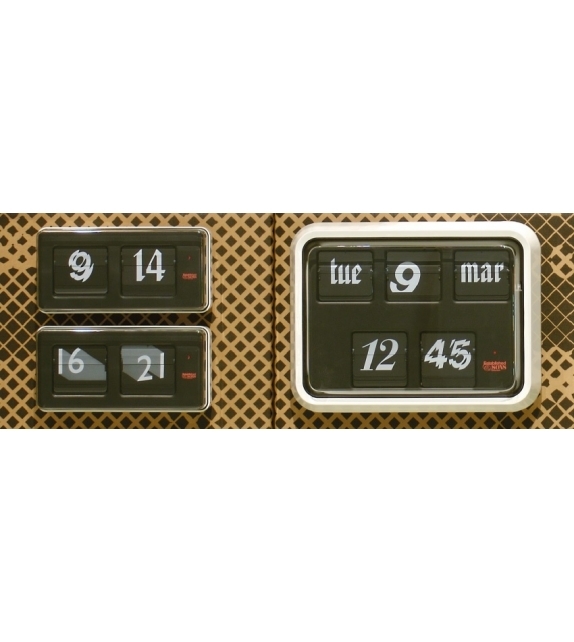 The Font Clock comes in three sizes.